A historical site or a nature reserve?Observation point or heritage site? In addition to a vast selection of hikes, the Dead Sea region offers plenty of sites and places worth visiting with children, families and groups. The nature reserves near the Dead Sea have become some of the most popular in Israel, and the spectacular observation points will move and inspire even the toughest visitors. 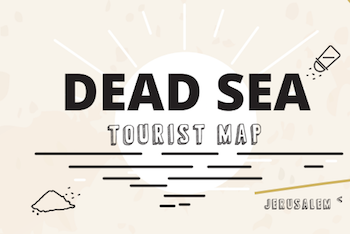 We've compiled a list of the sites worth incorporating into your itinerary on your next trip to the Dead Sea.